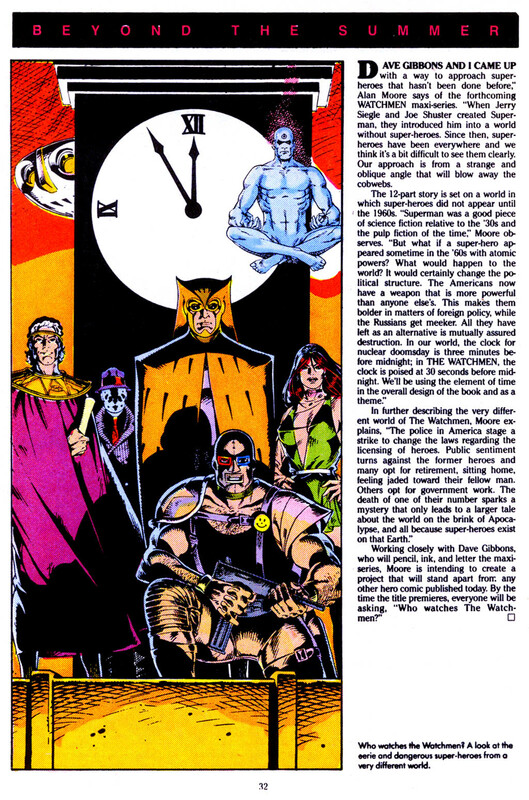 The Watchmen mini-series is one of the most critically acclaimed comic series ever produced by DC. While the series still demands decent money, issue 1 is not the first appearance of the team or major characters. 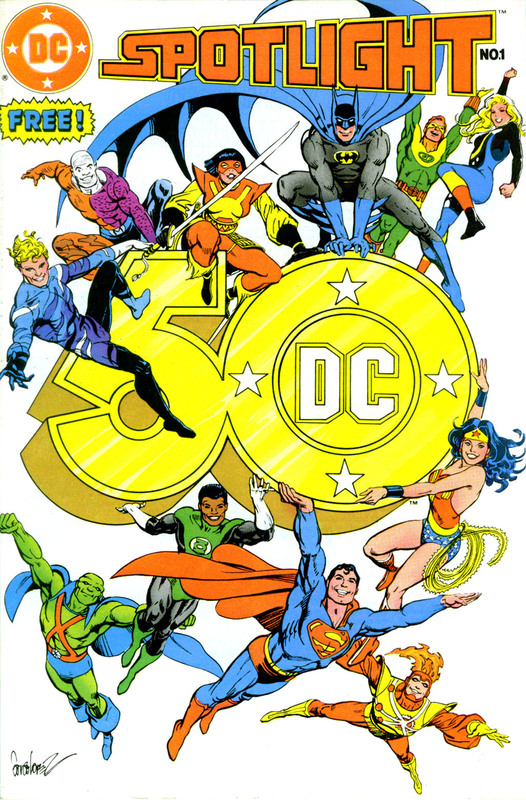 DC Spotlight #1 came out prior to the Watchmen series and is the actual first appearance! Unlike other samplers or giveaways from the time this one remains a difficult find and is rare in high grade thanks in large part to the white cover. May 2, 2017 Of Watchmen, muscle power, Seyg-El, Biomax & more!!! No freaking idea hawk and dove were part of the watchmen, also, the question! They are not really part of Watchmen, Santos. More like cameos or blink and you will miss them details. I love when this stuff comes up and I already have one in my collection. I do disagree, however, that the article/preview/ad in DC Spotlight 1 is an ‘actual first appearance.’ I am an advocate of calling these ‘preview appearances.’ It simply makes more sense.